Cash is nice, and stocks are fun, but nothing beats gold. Nothing. This sentiment was the focus of America's ruling politicians in the mid-1960s. Fearing a gold shortage, President Kennedy remarked in a closed-door meeting “If everyone wants gold, we’re all going to be ruined because there is not enough gold to go around.” The gold standard was still a pillar of the U.S. economic system. There was a problem. Sourcing gold through conventional mining was becoming increasingly difficult. In fact, many mining operations in the U.S. had shut down amid more successful competing mines in other countries. If Kennedy and others couldn't find gold underground, they would find it somewhere else. Operation Goldfinger endeavored to extract gold from the strangest of places, seawater, plants, meteorites. Scientists even added deer antlers to the list of places they would look for gold. The administration recruited a leading scientist who formerly worked on the Manhattan Project. This, apparently, is what it looks like when the government goes on a gold hunt. They kept the project secret calling it a routine mining exploration project. Kennedy and others feared this frantic quest for gold might be perceived as desperate among the international community. After a few backroom handshakes, Operation Goldfinger was a go. Some of the greatest minds in technology designed new ways to search for gold. Methods carrying esoteric names like mobile neutron activation promised to scour for gold without having to collect a single speck of dirt from the ground. The technique resembled a million-dollar, heavy duty metal detector anchored to a truck. Before long the team added X-ray technology to their arsenal of research tools. Remarkably, they did, in fact, find gold in obscure places. The problem: there was never enough to make the find worth their while. They were excellent and finding traces, but the motherlode eluded them. If they couldn't find big deposits, they would make them. In its later years, Operation Goldfinger turned to atomic science in an ambitious attempt to engage in alchemy. Of course, none of it worked. In a bold move, the scientist put serious consideration into using nuclear detonation to penetrate potential gold deposits deep underground. In the end, the “nuclear option” worked, though it didn’t require a blast shield. The “nuclear option” was the decision to step away from the gold standard all together. One evening, in mid-August of 1971 in a televised message, Nixon announced that he was pulling the dollar off the gold standard. Less than a decade later President Ford signed a proclamation legalizing gold ownership for U.S. citizens. 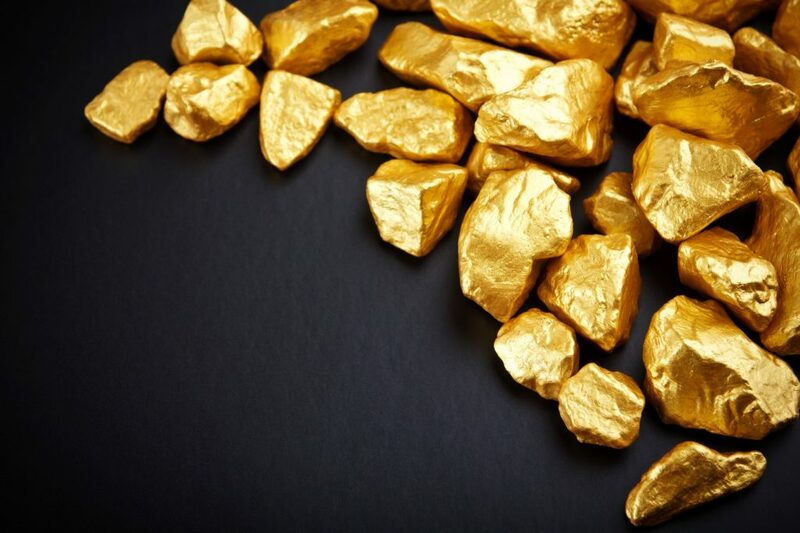 Today, gold remains as desirable as it did to American scientists scouring the ocean depths for hints of gold. While abolishing the gold standard was likely a necessity it created a problem we still see today; the government prints more money and goes further into debt. Meanwhile, gold investors still hold the inherent value of the rare metal in hand knowing that it’s a relic from a time when currency was backed not by confidence but by literal weight.